Schedule Your Free Communication Consultation! Do your ears frequently ring? Does the sound bother you or otherwise affect your ability to enjoy daily life and your social activities? If you answered yes to either of these questions, then you may have a hearing loss condition known as tinnitus. At Mt. Harrison Audiology, our experienced tinnitus specialist in Burley, ID, offers cutting-edge tinnitus treatment to help quiet the ringing in your ears. Tinnitus (pronounced tin-NY-tus) is a common hearing condition that causes you to hear a ringing, rushing, or buzzing sound in your ears. Tinnitus is present in approximately 75% of all people with some type of hearing loss. Although it will not cause you to lose your hearing, tinnitus is a leading indicator of hearing loss – even in mild cases of hearing loss. While tinnitus is different for each person, it can affect your daily activities and quality of life. Our experienced, compassionate audiologists can help recommend a course of treatment to deal with this persistent problem. 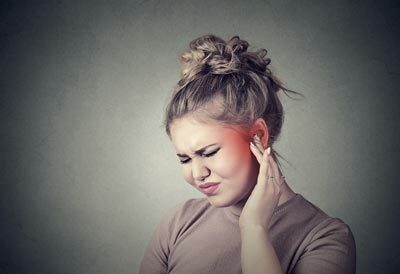 There is no cure for tinnitus, but we’re proud to offer state-of-the-art options to treat and reduce your tinnitus. Mt. Harrison Audiology offers a tinnitus evaluation that goes beyond a manual audiogram. Our evaluation includes self-assessment scales, use of the Tinnitus Handicap Inventory, tone matching of the ringing, loudness rating, and a masking evaluation. Using the results of our evaluation, our audiologist will be able to provide you with a treatment plan that’s personalized to your specific needs. Dr. Pickup has written a few articles about tinnitus on the Hearing Tracker website, which you can read HERE. Schedule Your Consultation with our Tinnitus Specialist in Burley, ID, Today! To learn more about our 5-star-rated hearing care and how we can help you with the ringing in your ears, we invite you to schedule your complimentary Mt. Harrison Audiology Communication Consultation today! Your appointment includes a review of your medical history, an in-depth discussion about your hearing loss concerns and goals, and a detailed explanation of our process. After your consultation, our expert will recommend the next steps for evaluation and treatment, plus answer any questions you may have. We always want to make sure you’re completely comfortable before beginning treatment. Call our friendly office at 208.312.0957 or CLICK HERE to schedule your appointment today – we can’t wait to meet you! As one of the premier hearing care centers in Rupert, ID, our team at Mt. Harrison Audiology also provides 5-star-rated hearing services to patients from Burley, Twin Falls, Filer, Malta, Kimberly, Jerome, Heyburn, Paul & Declo, ID, and surrounding areas. This office is 2 1/2 hours away from where I live, but I make the trip because the service is the best, and the prices are the best. Dr. Pickup is very clear and upfront which is appreciated, and she is very quick to respond to emails. I was having a hard time getting a hold of the other providers in my area. Is a game of phone tag that dragged on for days. Emails were at about the same pace. Then I met Dr. Pickup who would always respond in the same day, no matter how many emails I sent her, and sometimes they were numerous. I've never had such good communication straight from the provider, and that's what sold me. It helped that she also had the best prices I could find. *The reviews listed are from actual patients of Mt. Harrison Audiology. Individual results may vary. Reviews are not claimed to represent results for everyone. Schedule Your Free Mt. Harrison Audiology Communication Consultation Today!